Equal parts After Hours and Go with a bit of Rain Man in the mix, the new crime thriller Good Time by Ben and Josh Safdie unfolds at breakneck pace largely over one harrowing evening in some of the most desolate and seemingly forgotten areas of New York City. Yet no matter how empty these places seem, there almost always happens to be someone there, whether its an employee pulling an overnight shift or a vagrant searching for something that may not have even been there in the first place. Just like the protagonist, everyone is just doing what they can to survive in their corner of the world and by setting the film at the most desperate fringes of society, the Safdies incorporate the fury of their struggle into the narrative. One of the film’s opening shots encapsulates this rage on the face of the mentally handicapped Nick (Ben Safdie), who is in the middle of a tense session with his therapist when his brother Connie (Robert Pattinson) barges in and ushers Nick away. It turns out that he needs him for a bank robbery that he’s planned and while the stick-up initially seems to be a success, dye packs that are hidden in the stacks of money go off in their getaway car and Nick gets arrested during the ensuing on-foot pursuit while Connie barely manages to get away with the dirty cash. After multiple attempts to get the funds to afford Nick’s bail, Connie hatches a plan that involves retrieving a hidden bottle of LSD for a quick profit. During interviews for the final season of Breaking Bad, creator Vince Gilligan spoke about how his writing staff would intentionally paint his characters into corners that would seem impossible to resolve and then brainstormed the most satisfying but plausible ways to get them out of the situation. Good Time exhibits this same kind of think-on-your-feet type of narrative urgency as Connie battles against a myriad of contingencies and dead-ends over the course of his turbulent all-nighter. Though Connie is obviously someone who doesn’t have things in order, he asserts his street smarts in big and small ways (hanging a mat over a barbed wire fence in order to safely traverse it, for instance) that keep him one step of the law. On top of the spontaneity in their storytelling, the Safdies also establish tension with tight close-ups of their characters that’s designed to give the audience any kind of respite from the manic energy that is often on display across their anguished faces. So much of Pattinson’s excellent performance as Connie can be summed up by the panic that is constantly present in the whites of his eyes, which are often wide open amid the dwindling opportunities that lay before them. When cinematographer Sean Price Williams is afforded the opportunity to implement some flourish, as he does with a beautiful tracking shot of a car rounding a corner and some deft aerial camerawork towards the finale, he makes great use of the expanded scope. All of this harried paranoia is complemented by a lush and trippy musical score by Daniel Lopatin (known in music circles as Oneohtrix Point Never) that stands alone as one of the most memorably effective soundtracks of the year. The synthesized arpeggios chug along breathlessly with shady dealings that pervade Connie’s attempt to free his jailed brother but the music also goes into a more contemplative soundscape at times that can seem dreamy at one minute and then quickly turn into a nightmare the next. 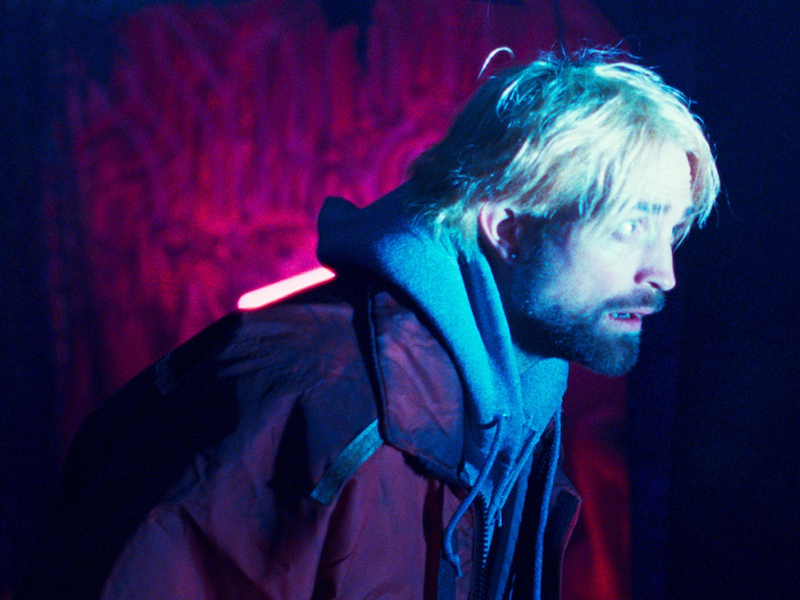 It’s a perfect analog for the dirty, neon-drenched visuals of Good Time that contrasts the far-flung hopes of its anxious characters with the mired reality that they can’t seem to escape.